After winning Best Motion Picture Drama, Best Actress for Frances McDormand, Best Supporting Actor for Sam Rockwell, and Best Screenplay for writer/director Martin McDonagh at the Golden Globes last week, Three Billboards Outside Ebbing, Missouri is released in the UK on Friday 12th January. It is highly deserving of its plaudits, particularly for McDormand and Rockwell. 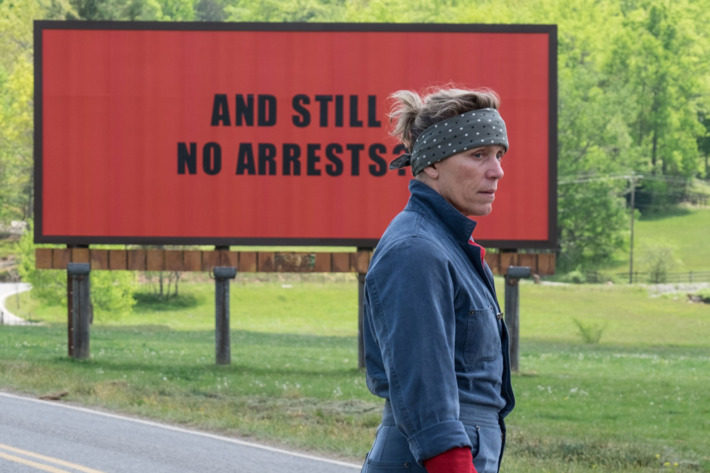 I was lucky enough to see it at the London Film Festival in 2017 and my review of the film that all the cool kids are simply referring to as 'Three Billboards' is up at Starburst Magazine here. This is a film I can't wait to see again and I recommend you get down to a cinema to see it asap. Read more at Starburst Magazine.